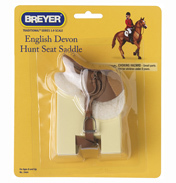 Breyer make the most wonderful products for people who are truly horse mad! They make a variety of equestrian-themed toys, activity kits and collectibles designed to satisfy horse lovers of all ages. The toys for young children are ideal as they are brightly coloured, sturdy and really stimulate a child’s imagination. As well as the more traditional models which have exquisite and authentic detail as demanded by teen and adult collectors. 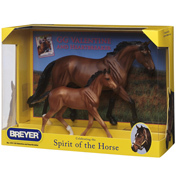 Breyer are now celebrating 60 years of being the world’s finest model horses maker. The Breyer Moulding Company created their first Breyer horse model in 1950 as a decoration for a clock. The Clock Company was unable to pay for the moulding expenses so Breyer decided to keep the mould and sell the horses as a model by itself. They sold very well so Breyer produced different models and the rest became history. Breyer models have a very large following and are widely collected all over the world; the quality just speaks for itself. And one of the best things about Breyer Horses is that they are affordable and sturdy enough to be a toy and detailed and beautiful enough to be a collector’s item for around the home. In the WWSM Toy Shop we stock a large range of the Breyer Horses collection. 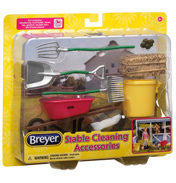 The Classics shelf contains Breyer’s most realistic junior collector line! The many different horses and foals have authentic hand-painted details. There are also Classic horse boxes, stables, riders and accessories galore. 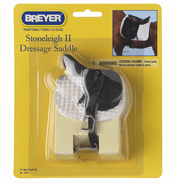 The Stablemates shelf is a collection of larger Breyer Horse models – 24 different ones - and accessories. There is an Animal Hospital and an Animal Rescue Truck, a Stable Set, a Riding Academy and much more. The Saddle Club shelf is a range of products based on the TV show of the same name. On the Pony Gals & Wild Dancers shelf there are some lovely models of Chloe, Jasmine & Dixie (the Pony Gals), portable travel sets and a Friendship Barn. The Wild Dancers are four tiny, candy-coloured horses with shiny manes and shimmery wings, the products include Jewellery Boxes, stickers and the models themselves. The Activity Sets and Games shelf has Painting Horse Model kits for both beginners and the more experienced artist, Learn To Draw Horses kits and Model Horse Sculpting & Painting kits and colouring books. The Traditional Horses & Traditional Accessories shelves are packed full of the largest and most popular Breyer models available. There are model horses of different breeds from around the world famous horses and some limited edition releases too. The range of accessories is huge, literally everything you will need to look after your horse collection; barns, stables, trailers, riders, saddles, tack, blankets, grooming kits, jumps and much more. 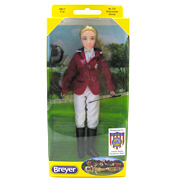 As you can see the Breyer range is a very extensive and wonderful collection for any horse lover to collect. 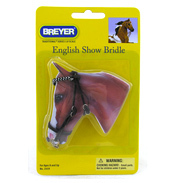 We hope you enjoy looking at all the Breyer Horse products we have to offer here in the Toy Shop at WWSM.